Integral motorhome with innovative exterior line offering a fantastic panoramic view of the most beautiful landscapes. The perfection of a work done by “professional experts”, generous spaces, a contemporary atmosphere and exceptional equipment characterize this range of integral motorhomes. 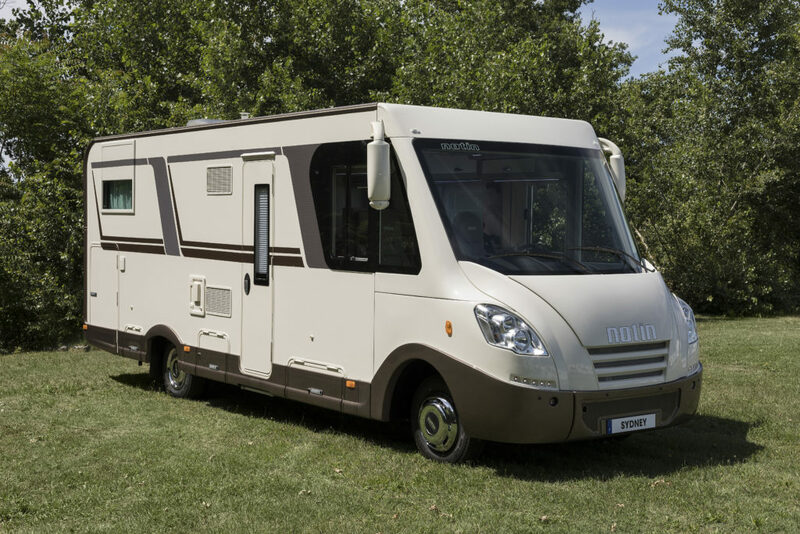 We are proud to manufacture this range of excellence in France, with quality and experience unmatched today in the world of recreational vehicle. Choose your complete motorhome from the seven models in the range: Sydney JL, the full twin-size motorhome, and the Sydney JF face-to-face lounge version, Calgary CF, the full-face-to-face motorhome and its twin version Calgary JF and Volga 2 full-size motorhome with spacious volumes in its 3 versions: Volga 2 CL, Volga 2 CF and Volga 2 JF. Concept of unalterable panels entirely devoid of wood; reinforced styrofoam insulation. 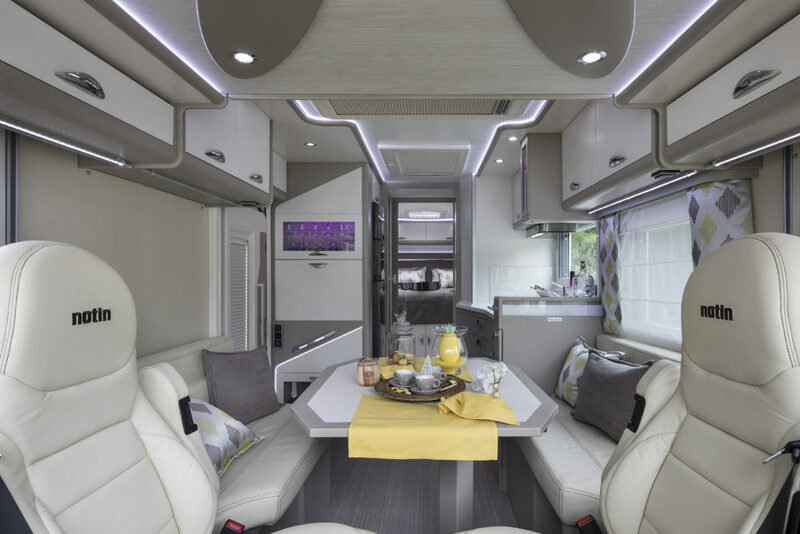 Our exclusive 1 or 2-seater system (by extension) offers optimal comfort and fits perfectly into the interior design while maintaining an exceptional under-bed height for an integral. LED technology used for lighting ensures a refined interior and reduced energy consumption.